Also known as the Rose of the North, Chiang Mai in Thailand is a city rich in history and in nature. In this city, the Loyfar's workshop came into being. Since its inception in 1996, unique pewter furniture and tableware have been made. Each piece molded beforehand is carefully assembled, and crafted by hand to supply a splendid masterpiece. The polishing skill makes a shiny finish, and the chasing and the coloring let appear numerous varieties. Loyfar pewter contains 90% tin, and 10% antimony, copper and silver, but is lead-free. Image of tropical ocean coral candle holder (wine holder). Asian goods Loyfar chopstick set 5 pieces SR006C pewter pepper (S) 3 x 5.5 cm. Chopstick rest with a red pepper. Asian goods Loyfar chopstick set 5 pieces SR115.01 pewter Ivy (S) 2.5 x 4.5 cm. Tropical Ocean coral, not wine holder image! Photo frame featuring the cute elephant! 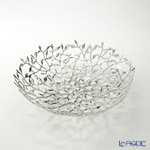 You can enjoy an exquisitely crafted mix flower Bowl. 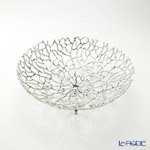 You can enjoy the exquisite workmanship inspired by the Peony Bowl! Crafted in fine petals, representation of the Peony flower Bowl. Uniquely designed and handcrafted warmth and cuteness is the accessories brand for the characteristic of Thailand "Loyfar"
Dynamic design of stretching along the olive tree is black glass objects. Design real plants, such as woven Nest　ｂoat. 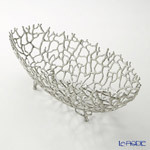 Tropical Ocean coral, sculpture with the image! fruit stand. Daisy series small square photo frames!